We serve and ship our furniture to Ajax, Acton, Aurora, Barrie, Burlington, Brampton, Brantford, Caledon, Concord, Coburg, Cambridge,Etobicoke,Fort-Erie, Grimsby, Guelph, Georgetown, Hamilton, Halton hill, Innisfil, Kingston, King City, Kitchener, London, Markham, Milton, Mississauga,Niagra-Fall, Newmarket, North York, Oakville, Orangeville, Oshawa, Ottawa, Pickering, Richmond hill, Stony creek, St.Catherine,Scarborough,Toronto, Thornhill, Vaughan,waterloo, Woodbridge, Woodstock, Whitby and many more cities in Ontario. If delivery is not available to your area, you can always schedule to pick up your furniture at our warehouse. Prices do not include shipping, set-up or disposal of garbage. Shipping is usually arranged, on behalf of a customer, with a third party carrier. We are not responsible for delay / damage/ charges for the shipping. We do not accept cancellation of order in case of the carrier was unable to deliver on time / at specified location or delivered damaged goods. We do not make any profit on shipping. These prices are tentative and actual shipping cost may vary. You can verify the shipping cost with local shipping company. All the deliveries will be made on "GROUND LEVEL FLOOR" of the house or building. You can pick up the items with pre-order only. Please ensure that the route to the location in which the merchandise is to be placed is clear of furniture and other obstruction. Our drivers cannot remove doors, door jambs, casings, moldings, railings or make any alterations to your home to deliver or fit any merchandise into your designated location. If you are replacing furniture, the old one(s) must be removed or dismantled .You are responsible for removal of old furniture. Unless otherwise instructed, we will uncrate the merchandise, set it in place and remove packaging to outside your designated location. We do not take away the packaging. The signature of a person 18 years of age or older is required on all delivery orders and that individual must accompany the delivery crew into your designated location. Please measure your designated location and access doorways and hallways to ensure that your new furniture will fit into your designated location. Please note that a 25% restocking fee and actual shipping cost may apply if uncrated merchandise does not fit. We are not responsible if delivery or removal of merchandise cause damage to your property. There will be an additional re-delivery fee if you are not at the delivery location at the time of the scheduled delivery. 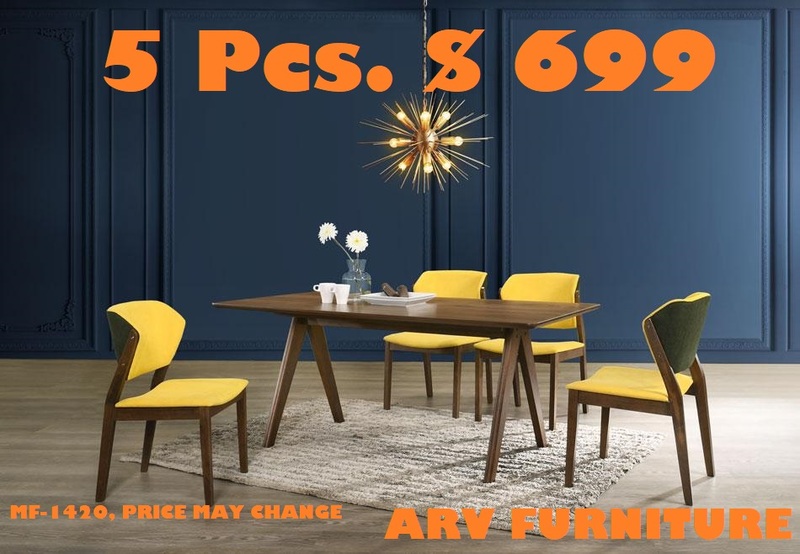 For orders placed online, you must bring your printed email confirmation, picture I.D, and the credit card used to place your order to pick up your furniture. NOTE: An imprint of the credit card and cardholder's signature will be required. Please be sure that the size of your vehicle will accommodate the size of the merchandise to be picked up. We are not responsible for loading and tie-down of merchandise or the safe transportation of merchandise to your home. Damage that occurs during transit is not covered under warranty nor can we accept returns on the merchandise should any damage occur during transit. Merchandise that is picked-up may be in cartons and may require assembly. Due to the nature of merchandise shipped in cartons, we are unable to unpack cartons or assemble merchandise for you at our warehouse. Please click here to view shipping cost. 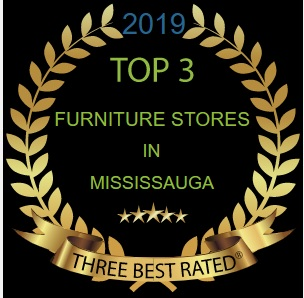 We serve and ship our furniture to Ajax, Acton, Aurora, Barrie, Burlington, Brampton, Brantford, Caledon, Concord, Coburg, Cambridge,Etobicoke,Fort-Erie, Grimsby, Guelph, Georgetown, Hamilton, Halton hill, Innisfil, Kingston, King City, Kitchener, London, Markham, Milton, Mississauga,Niagra-Fall, Newmarket, North York, Oakville, Orangeville, Oshawa, Ottawa, Pickering, Richmond hill, Stony creek, St.Catherine,Scarborough,Toronto, Thornhill, Vaughan,waterloo, Woodbridge, Woodstock, Whitby, Ontario.